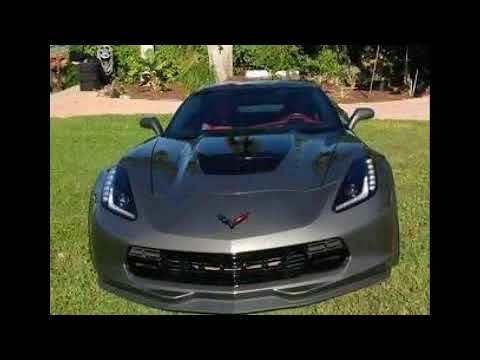 2015 Chevrolet Corvette Z06, 14000 miles, Exterior: Gray, Interior: Red, VIN: 1G1YT2D65F5601039, Last time reduced. 3LZ, Competition Seats, 7 speed manual, Clean and clear Title in hand, One owner, All scheduled maintenance, Always garaged, Stock Custom wheels (pearl grey), Excellent condition, Factory GPS system, Fully loaded with all the goodies, Looks & drives great, Must see, Never seen snow, No accidents, Non-smoker, Factory Tires (does not need tires) Windshield has been replaced because of a chip. Nothing wrong with this car, just need to free up CASH. Asking $68499, For Sale By Owner in FT MYERS BCH FL 33931, Contact Steven at **SOLD** for more information.